Michael Benedikt was born in 1935 in New York City. He received his B.A. from New York University and earned a Master's Degree in English & Comparative Literature from Columbia University. He was an Editorial Assistant for Horizon Press from 1959 to 1962, and in 1963-64 served as Managing Editor for the literary magazine Locus Solus. Prior to publishing his first collection of poetry, Benedikt co-edited three anthologies of 20th-Century Poetic Theatre from abroad: Modern French Theatre: The Avant-Garde, Dada, & Surrealism (1964); Post-War German Theatre (1966) and Modern Spanish Theatre (1967). His anthology of twentieth-century American plays, Theatre Experiment, was issued in 1968. He is also the editor of two landmark anthologies of twentieth-century poetry: The Poetry of Surrealism (1974); and The Prose Poem: An International Anthology (1976). A critical Festschrift, Benedikt: A Profile was issued by Grilled Flowers Press in 1978. 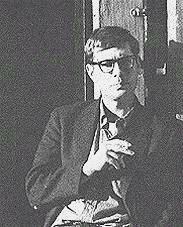 Benedikt was Poetry Editor for The Paris Review from 1975 to 1978. His editorial selections are represented in The Paris Review Anthology (1990). Occasionally active as a critic/journalist, he is also a former Associate Editor of Art News and Art International. His literary criticism has appeared in Poetry and The American Book Review. Michael Benedikt's books of poetry include The Badminton at Great Barrington; or, Gustave Mahler & The Chattanooga Choo-Choo (University of Pittsburgh Press, 1980), Night Cries (prose poems, 1976), Mole Notes (prose poems, 1971), Sky (1970), and The Body (1968). Poems as yet uncollected in book form have appeared in the 1990's in such literary magazines as Agni, Iowa Review, Michigan Quarterly Review, The New Republic, The Paris Review, and Partisan Review. His honors include a New York State Council for The Arts Grant, a Guggenheim Foundation Fellowship, and an NEA Fellowship. He has taught at Bennington, Sarah Lawrence, Vassar, and Hampshire Colleges; and at Boston University. Michael Benedikt died on February 9, 2007.